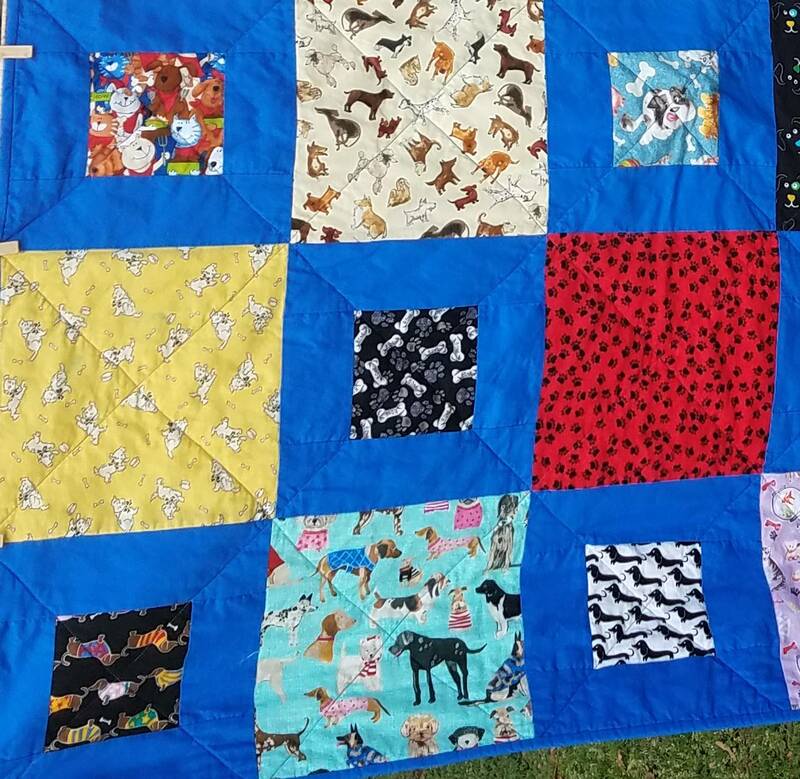 What a lovely neighbor you are to make them a quilt. Sounds like you chose the perfect fabrics, and definitely better than golf. I hope your new neighbors are just as nice as the old ones. Well done for completing your February goal, congratulations. This is such a thoughtful gift for your neighbors. The pattern works beautifully with the fabric. It's nice to hear that they are already making use of it. 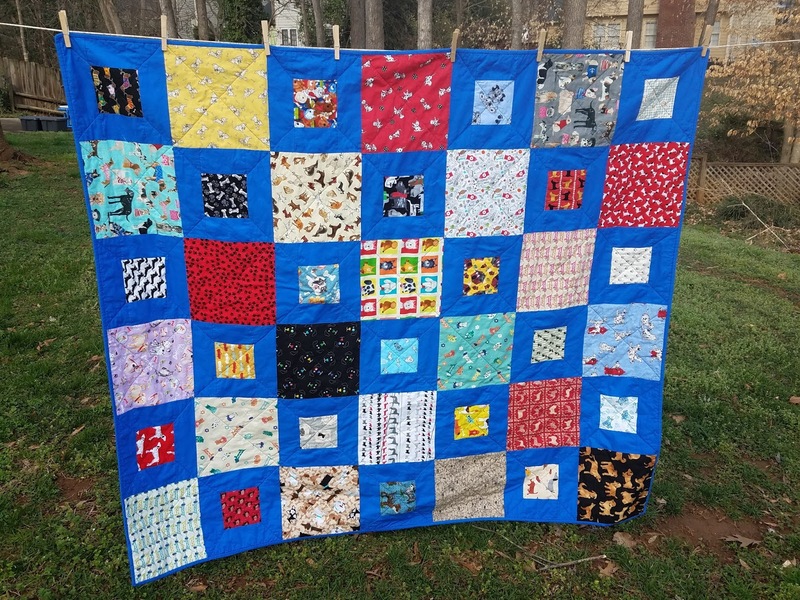 What a fun quilt and a great gift for good friends. Hopefully they didn't move too far away and you'll still get to see them from time to time. Love this one. 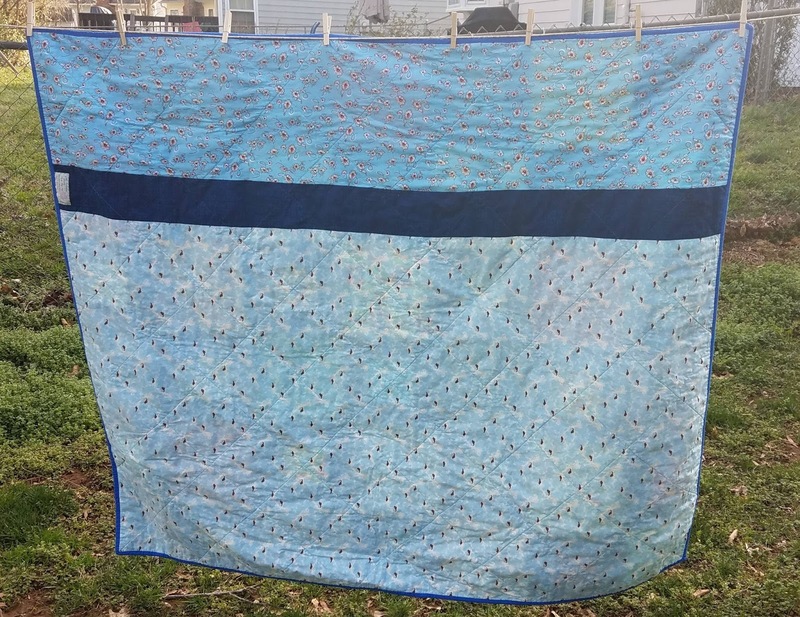 Simple and fun! 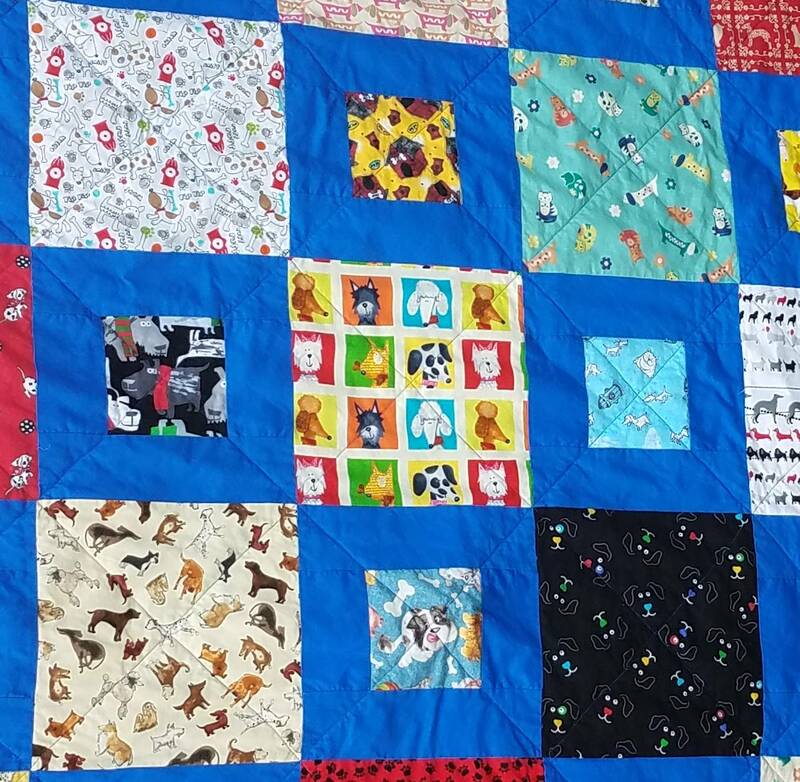 What an awesome collection of doggie prints, they look great in the quilt. Lovely gift! Thanks for linking up with Elm Street Quilts One Monthly Goal and congrats on your finish.